Gulliver’s Gate, created and co-founded by Eiran Gazit, will be a magical tourist attraction where people can view 3D printed cities, boats, cars, models, and all sorts of vehicles in miniature. The idea is based on Jonathon Swift’s novel, "Gulliver’s Travels." 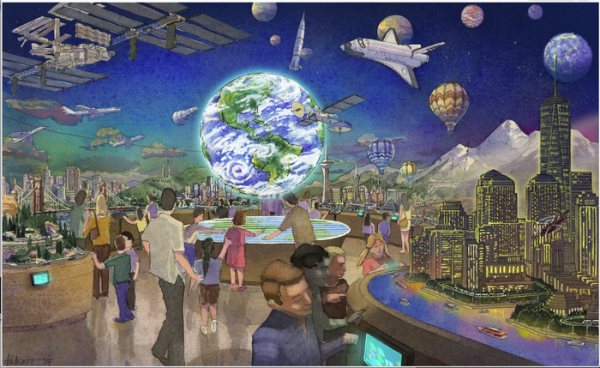 The 40,000 square foot indoor space in midtown Manhattan will have interactive features, such as remote-controlled vehicles, hot air balloons and a space station shuttle. There will be over 1,000 trains, 12,000 wagons, and 10,000 cars. Gulliver's Gate will be a “tiny, scale version of a world that's both real and fantastical,” the team described it in its Kickstarter campaign. Gulliver’s Gate will also house an advanced model shop where master craftsmen will build miniature displays for customers, using 3D scanning and 3D printing technology. Gulliver’s Gate is seeking funding through Kickstarter. Backers who donate $100 or more will have the opportunity to attend the grand opening celebration where they will be scanned and 3D printed as miniature citizens. Larger funding donations are rewarded with splendid gifts, such as a telescope, a limited-edition caboose by Walthers, or a steam locomotive. The attraction is expected to be built by 2016 in midtown Manhattan.